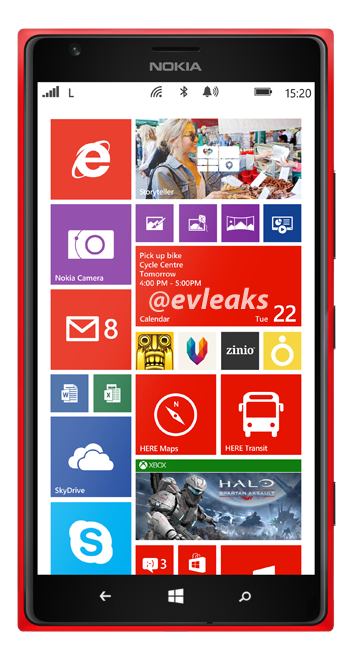 There’s a high possibility that Nokia would be unveiling the first-ever Windows PhonePhablet, the Lumia 1520, codenamed ‘Bandit’. 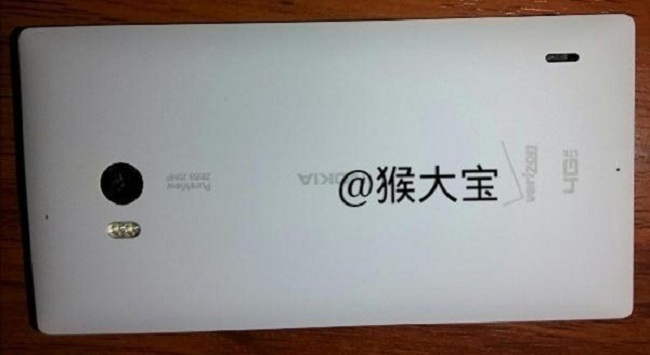 Thanks to @evleaks for the picture of the upcoming phablet. The device is expected to sport a 6-inch screen with a 1080 x 1920 resolution and might be powered by a Quad-Core Snapdragon 800 processor and a 2GB RAM. The Lumia 1520 would be a part of the GDR3 update which would allow the phone to support the Full HD feature. For storage, the phone would have a 32GB capacity in it. It would also incorporate a Driving Mode that would disable certain functions while the user will drive and would be paired with the car’s bluetooth radio. What is more attractive is that it would have a 20Megapixel PureView snapper at the rear that would support Optical Image Stabilization. 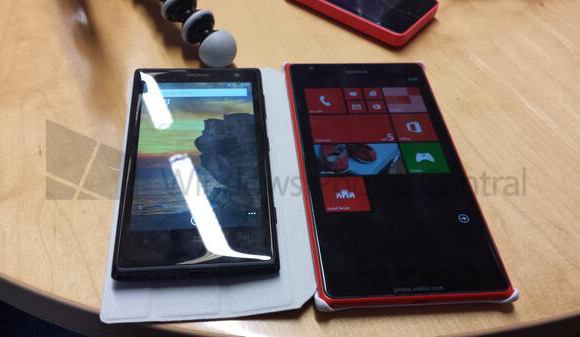 Another picture leaked by Windows Central shows the Lumia 1520 placed beside the recently released Lumia 1020. This picture does prove that this device has a large screen as it totally dwarfs the 4.5 -inch screen of the 1020. Just today, another picture leaked through a Chinese website showing the rear of the expected Lumia 1520 but with a Verizon logo. Many speculated that the phablet would be an AT&T exclusive however the leaked picture shows it won’t be. But here’s a twist. The rear of device in the latest leaked picture doesn’t actually match with the press shot provided by @evleaks. If you scroll up again, you can notice that the flash is above the camera whereas in this picture, the flash is at a different position. Either the latest picture or the press shot is false. There’s also a possibility that the Verizon version of the 1520 ‘Bandit’ might be different than the normal ones as we see in other devices as Nokia alters the design for different carriers. As these are all leaked information, we cannot be 100% sure as we always say regarding such tips. All we need to do now is wait for a confirmation from Nokia themselves to send out invites for an event to be held on September 26th. 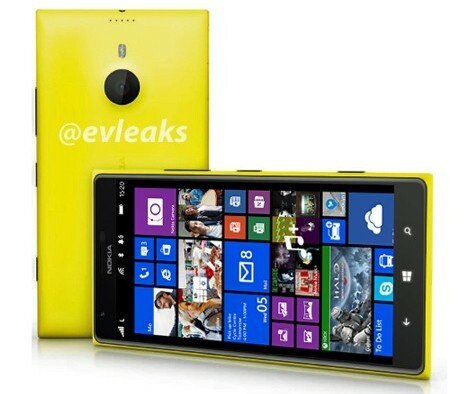 If this is real, the Lumia 1520 could be a big product as it might even be capable of competing with Galaxy Note 3. It seems that Nokia is finally getting on the road with other popular brands with its Windows Phone platform.